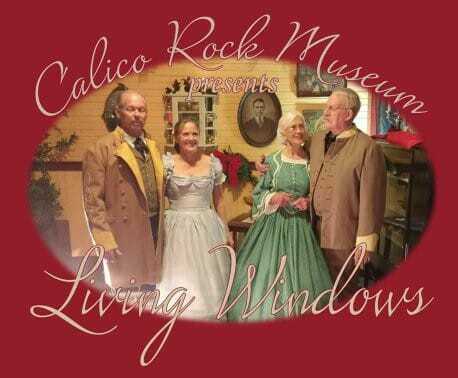 The Christmas in Calico events, sponsored by the Calico Rock Museum & Visitor Center, are this Saturday. Join us for the Christmas Living Windows along the historic buildings on Main Street from 5:30 p.m. to 6:30 p.m. The Lighted Christmas Parade will follow soon after the windows concludes. The parade will depart from the Calico Rock Museum and travel along Main Street turning onto Highway 56 and traveling to the Calico Rock Volunteer Fire Department. Everyone is invited to meet Santa in person following the parade at the fire station. For more information on the events or to enter the events, contact the Calico Rock Museum at 870-297-6100 or visit www.calicorockmuseum.com.